Winter is right around the corner – or already here, depending on what part of the country you’re in – and there’s no better time than now to get into a new SUV. Check out these best SUV deals, lease and purchase, December 2012. But keep in mind they all expire January 2, 2013. 2012 Buick Enclave – Zero-percent financing for 72 months or $2,000 cash back. models, or $500 bonus cash on four-cylinder engine models, or $1,500 cash back on Equinox equipped with six-cylinder engines. 2013 Chevrolet Equinox – Lease for $199 per month for 36 months with $2,649 due at signing, or purchase the 2013 Chevy Equinox and take advantage of 1.9 percent financing for up to 60 months plus $500 cash back. 2012 Chevrolet Suburban – Purchase the full-size 2012 Chevy Suburban SUV and go for zero-percent financing for up to 72 months plus $1,000 cash or $3,000 cash back. 2013 Chevrolet Tahoe – Three purchase deals on the 2013 Chevy Tahoe full-size SUV: 3.9 percent financing for up to 60 months plus $1,000 cash back, or $1,750 cash on LS, LT models, or $2,500 cash back on LTZ. Or, lease the 2WD Tahoe LS for 39 months at $419 per month and pay $1,889 at signing. 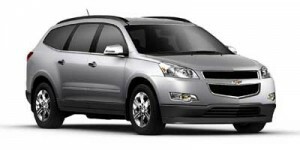 2012 Chevrolet Traverse – Zero-percent financing for 72 months or $2,000 cash back. 2013 Chevrolet Traverse – Lease the 2013 Chevy Traverse 2WD LS with preferred equipment group for $269 per month for 39 months and pay $2,419 upon signing. 2012 Ford Edge – Purchase deal (Northeast) is $500 cash back and zero-percent financing for up to 60 months or $2,000 cash back. In the Southeast, it’s up to $3,500 cash back or 0.9 percent financing for 36 months with $2,000 cash back. In the West, Northwest, buyers get up to $2,500 cash back or 0.9 percent financing for 36 months and $1,000 cash back. In the Southwest, the purchase deal is $2,500 cash back. Three 24-month lease deals are offered: $219 per month with $4,533 due at signing (Northeast); $229 per month with $3,088 due at signing (Southeast), and $219 per month with $3,078 due upon signing (Southwest). 2013 Ford Escape – Buyers get $2,000 cash back Northeast, Southeast, West, Southwest) and $2,500 cash back (Northwest). Lease for $299 per month for 24 months with $3,423 due at signing (Northeast), or $219 per month for 24 months with $2,618 due at signing (Southeast, Southwest). 2012 Ford Expedition – Buyers in most regions get up to $4,000 cash back ($5,000 in Southeast) or $1,000 cash back ($2,000 in Southeast) and zero-percent financing for up to 60 months. In the Southwest, lease Expedition XLR 4×2 models for $399 per month for 24 months with $4,338 due at signing. 2012 Ford Flex – In the Southwest, lease Flex SEL FWD with leather for 24 months at $229 per month with $3,308 due at signing. Buyers in the Southwest get up to $4,750 cash back or zero-percent financing for 60 months and $2,000 cash back. In other regions, buyers get up to $4,500 cash back or zero-percent financing for 60 months plus $2,500 cash back. 2012 GMC Acadia – Purchase the 2012 GMC Acadia large SUV and get zero-percent financing for 72 months or take home $2,000 consumer cash. 2012 GMC Terrain – On the purchase of the 2012 GMC Terrain with 2.4-liter four-cylinder engine, buyers can get zero-percent financing for 60 months plus $500 bonus cash, or $500 bonus cash. On Terrain with 3.0-liter V-6 engine, buyers get $1,500 total cash allowance. 2013 GMC Terrain – Buyers get 1.9 percent financing for 60 months plus $500 bonus cash, or $500 bonus cash. 2012 GMC Yukon – Zero-percent financing for 72 months plus $1,000 bonus cash or $3,000 total cash allowance. 2013 GMC Yukon – Two purchase deals: $2,500 total cash allowance on Denali trim; and $1,750 total cash allowance on models excluding Denali trim. 2012 Honda CR-V – Two 36-month lease deals: $259 per month with $2,299 due at signing; and $320 per month with $0 down payment and $0 first month’s payment. Lease deal applies to CR-V 2WD LX with five-speed automatic transmission. Or, purchase and get 0.9 percent financing for 24 to 60 months. 2013 Honda CR-V – On CR-V 2WD LX with five-speed automatic transmission, buyers can lease for 36 months at $259 per month and pay $2,299 due at signing. Or, pay $320 per month for 36 months with $0 down payment and $0 first month’s payment. 2013 Honda Pilot – Purchase and get 0.9 percent financing for 24 to 60 months. On the leasing side, lease for 36 months at $299 per month with $2,499 due at signing, or $360 per month with $0 down and $0 first month’s payment. Offers apply to 2WD LX with five-speed automatic transmission. On the Pilot EX 2WD with leather and five-speed automatic, lease for 36 months at $349 per month with $3,199 due at signing, or $430 per month with $0 down and $0 first month’s payment. 2012 Hyundai Santa Fe – Lease Santa Fe GLS for $269 per month for 36 months with $2,999 due at signing. On a purchase, the deal is $500 cash back, or $1,000 total cash back plus zero-percent financing for 36 months, or 0.9 percent for 48 months; or 1.9 percent for 60 months. 2013 Hyundai Santa Fe – Lease the 2013 Hyundai Santa Fe Sport with popular equipment package for 36 months at $269 per month with $2,999 due at signing. 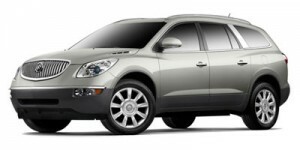 2012 Hyundai Tucson – Lease Tucson GLS for $239 per month for 36 months with $2,399 due at signing. Or buy and get zero-percent financing for 36 months; or 0.9 percent for 48 months; or 1.9 percent for 60 months. 2013 Hyundai Tucson – Lease Tucson GLS for 36 months and pay $309 per month with $0 down and $0 first month’s payment. Purchase deal is 0.9 percent financing for 36 months, or 1.9 percent for 48 months. 2012 Kia Sorento – Buyers can get $1,500 cash back on manual transmission models, or 0.9 percent financing for 36 months, or 1.9 percent for 60 months. 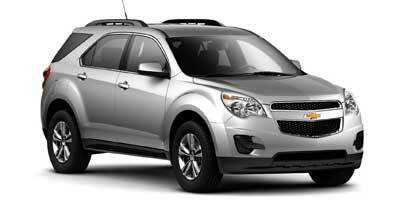 2013 Kia Sportage – Lease Sportage LX for $239 per month for 39 months with $2,499 due at signing. 2013 Volkswagen Tiguan – Lease the Tiguan S (front-wheel drive and automatic transmission) for $279 per month for 42 months with $0 due at signing.